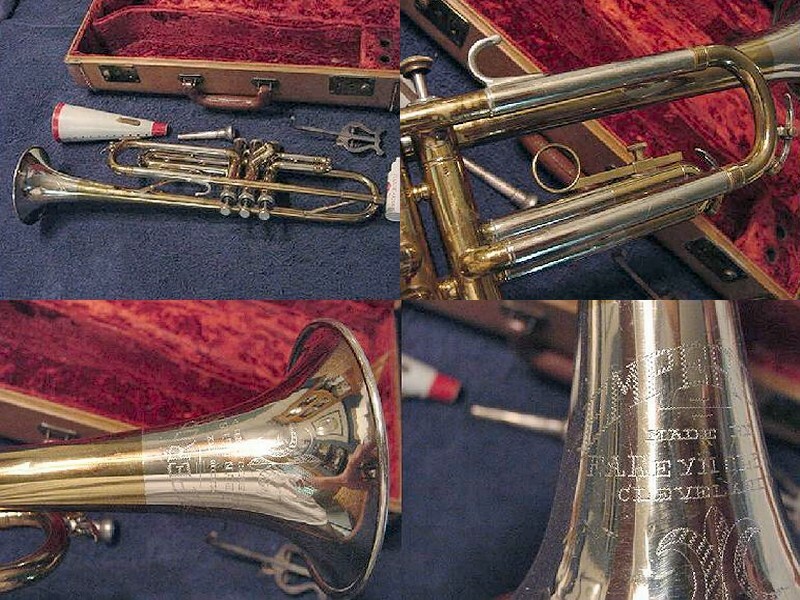 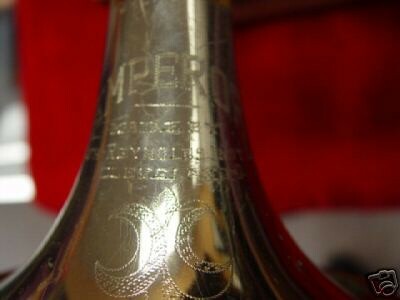 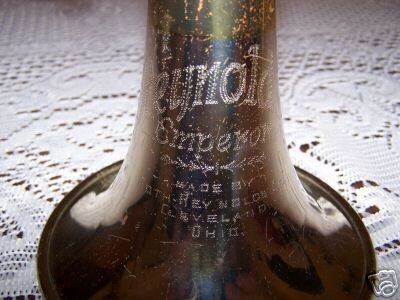 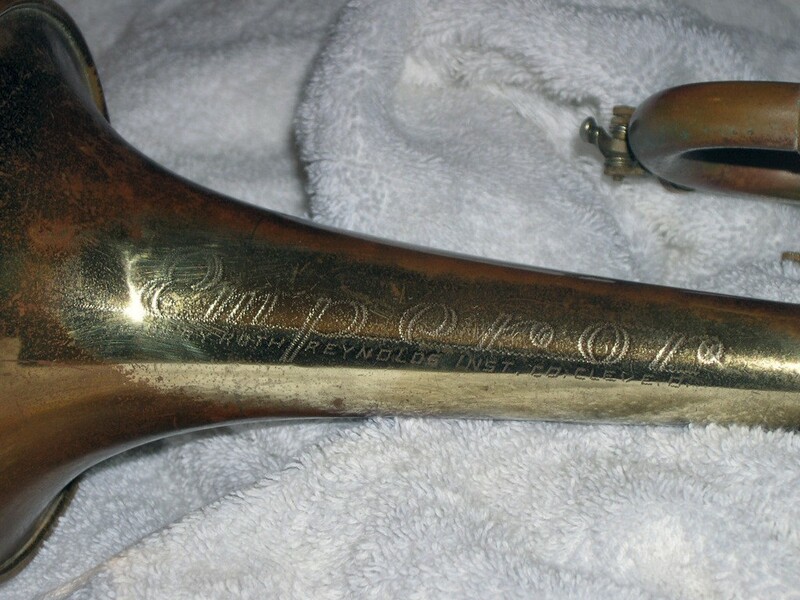 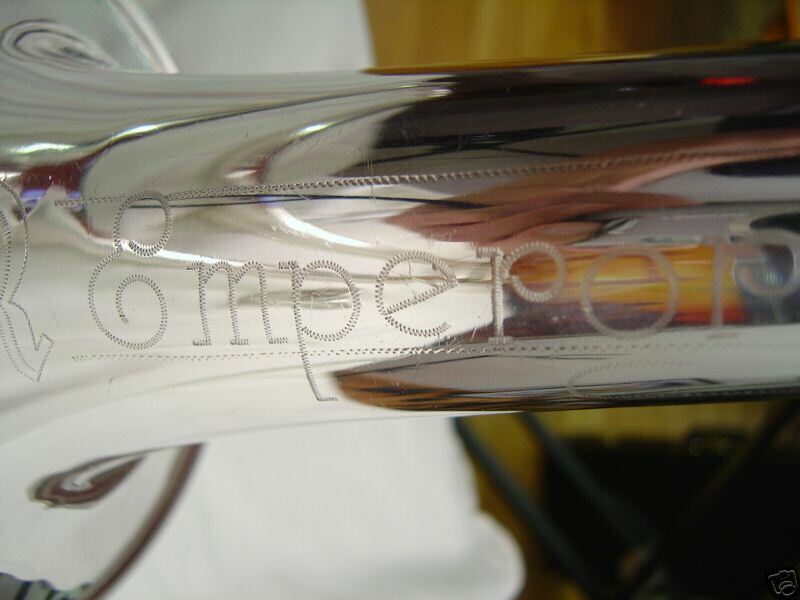 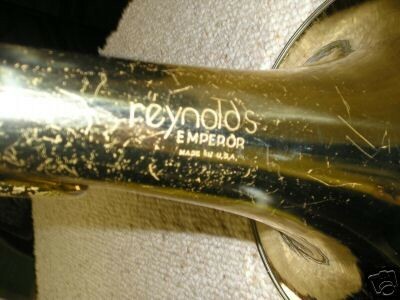 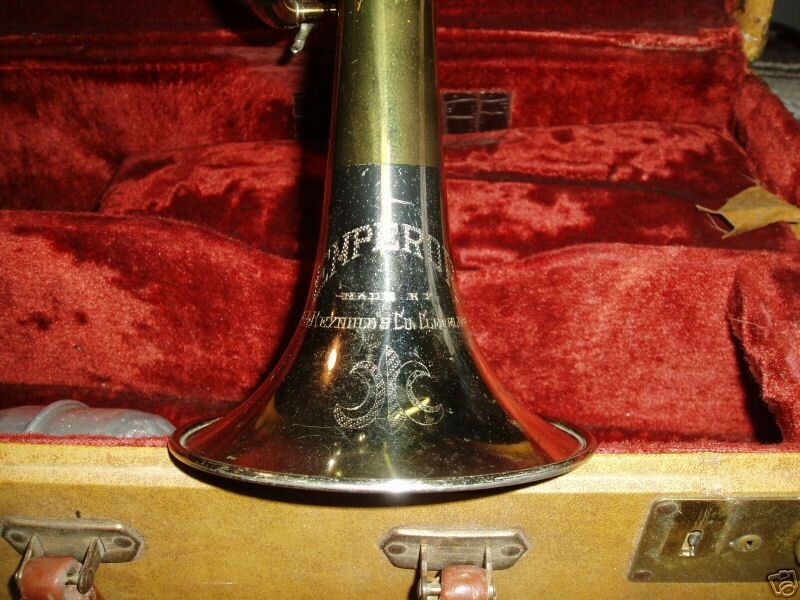 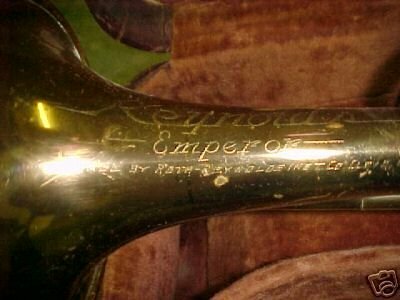 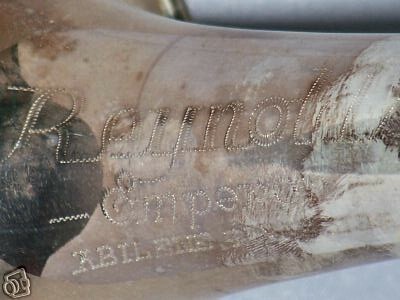 The photos and notes below describe the different engraving styles that were used on Emperor instruments over different periods of the Reynolds Company’s history. 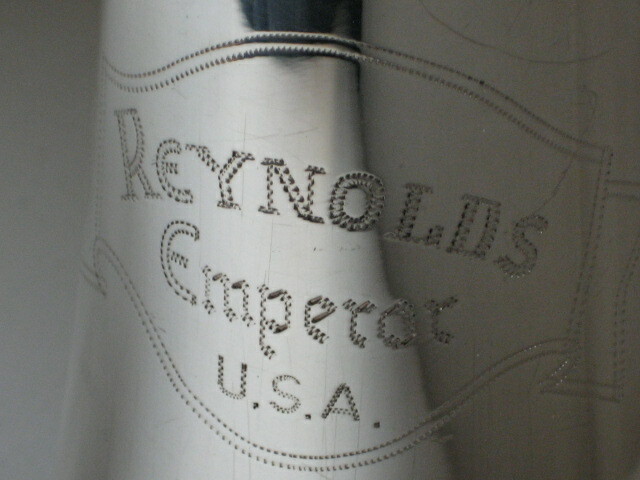 The same as the second example from 1947-1952, but with “Made by Roth-Reynolds” instead of “F.A. 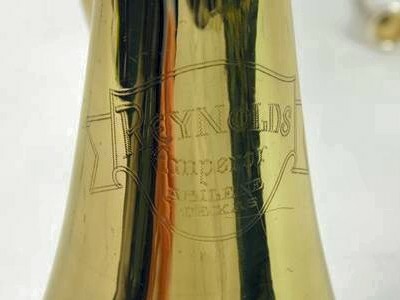 Reynolds”.